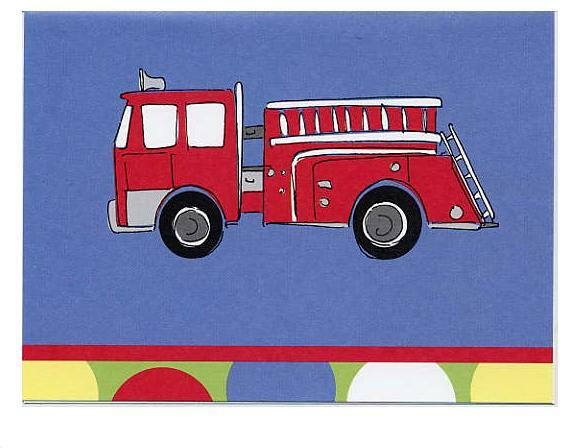 This fun note card set comes with two different styles (6 cards each): a red fire engine on blue and a dalmatian on red. 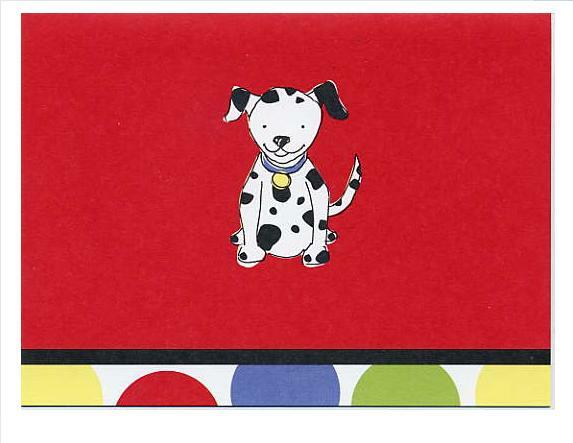 The back of the note card has the matching dot pattern as the bottom border of each card. Set is gift-tied with a yellow grosgrain robbon bow. NOTE: Only 1 set left! 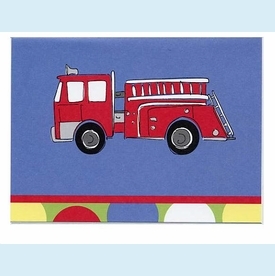 SIZE DIMENSIONS: 5.50" x 4.13"